Nature in the Neighborhood is a two-hour program centered around transforming an empty space on our new library grounds into a butterfly garden to attract local species of butterflies and pollinators. The program, for students in grades 3 and up, will begin with an interactive session, where participants will learn about a few of the interesting butterflies that can be found in our community and the species of plants they depend on to survive. We will work with a naturalist and a master gardener to learn the importance of planting native plants and providing all the habitat components to support butterflies throughout their life cycle. Participants will learn how to select plants that will support eggs, caterpillars, and butterflies, as well as how to provide safe shelter for butterflies in the garden. Participants will then get their hands dirty and learn how to properly plant the selected plants for the garden. After learning proper planting techniques, we will work together on our garden metamorphosis! Participants will help in planting and mulching. We will also have a station for participants to paint rocks to add to our garden, creating a lasting, colorful, community artwork for our new library space. Participants will also be able to make a plan for their own garden to implement at home after learning about different species of essential plants for butterflies. Registration required. Jill Shook, MS, CCC-SLP is an ASHA-certified speech-language pathologist and mom who loves helping parents and caregivers learn more about their child’s language development! She has provided fun, evidence-based speech-language therapy services since 2011, and has extensive experience in literacy-based interventions for many speech and language disorders, including articulation disorders, Childhood Apraxia of Speech, fluency (stuttering) disorders, Autism Spectrum Disorders, intellectual disabilities, aphasia, Traumatic Brain Injury, and speech and language delays. Registration required. Join local Michael’s art and craft instructor Michelle as she shares her love of artistic creativity with the community and brings her talent to the Baldwin Library! Children in grades K-5 can join Michelle as she introduces a new, exciting project and take home a beautiful, unique creation! Registration required. Our 5th Annual Touch-a-Truck is here! 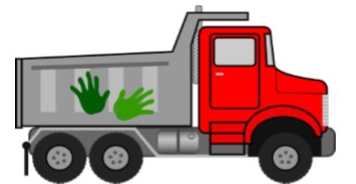 A Touch-a Truck event invites local public works departments, organizations and community truck owners to set up their vehicles and let kids get behind the wheel, honk the horns, take pictures and meet the men and women who operate the trucks every day. We will also have hands on activities for kids. FREE earplugs! FREE bike safety helmets from Baldwin Kiwanis! Great family fun! Tickets can be purchased online beginning May 1! Tickets can also be purchased the day of the event. We do not have a limit on tickets sales, so don’t worry, we won’t sell out! All monies raised from this event will directly benefit the Baldwin Borough Public Library and be used for its general operations, programs and services. We are kicking off our 2019 summer reading in a magical way! Don’t miss magician Al Mazing and his family-friendly “Take Me to Your Readers!” interactive magic show! All children can register for the 2019 summer reading program that evening, receive their packets and a small sign-up prize! Registration required and begins May 1. The concept is simple but the rewards are priceless! Read any book to your infant, toddler or preschooler — the goal is to have read 1,000 books before they enter the door of kindergarten! You have plenty of time, so take advantage of this wonderful early literacy reading program! Click to see all of our upcoming Storytimes. Click to see all of our upcoming Youth Programs. Click to see all of our upcoming family programs.